Trend signs offer graphic design services to professional organizations. It fulfills the signage requirements of various firms. The thoughtful ideas of our creative team members have played a significant part in the website development of Trend sign. 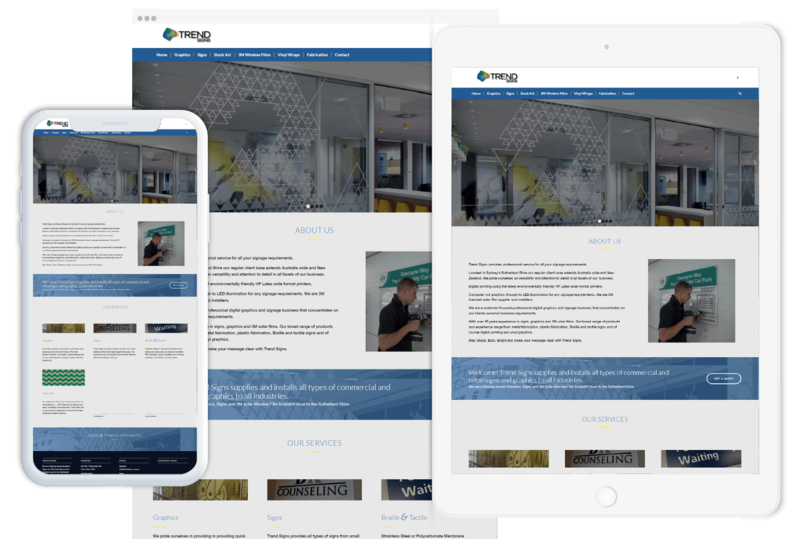 Our website development team have ensured the improved accessibility and usability of the website. The online marketing team of Techzo has always played a significant role in the promotion of various companies including Trend signs. Our efficient SEO services have optimized their site for search engines and enhanced the traffic as well. It has increased their customers which exhibits our good services.